For those who want the advantage of a sliding patio door - but the ability to have ventilation without having to slide the whole door, there is the "tilt and slide' door. One leaf is fixed and the other can be tilted back to give ventilation only. 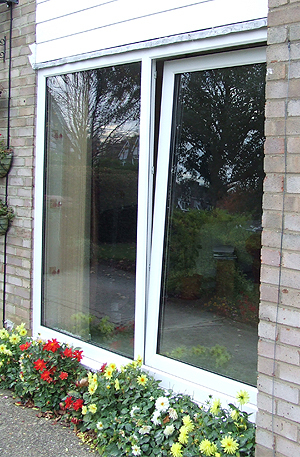 When required as an exit, the leaf can then be slid back like a conventional patio door. There is also the option of fitting an external handle. All in all a highly versatile means of ventilation with an entry/exit facility.